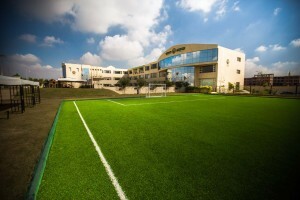 The School Zayed campus is on a total land area of around 10.000 m2, 5.000 m2 are dedicated to the playground and 2.200 m.sq. to greenery, leaving the rest for spacious constructions and buildings embracing courts, the library, laboratories, the food court, the swimming pool, the gymnasium and multipurpose rooms for meetings and performances. 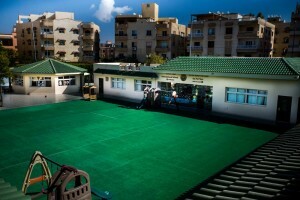 Green Land Pré Vert International Schools – GPIS Zayed nursery campus is located in El Sheikh Zayed – 7th district, on a total area of 3200 m2. This early years campus was established in 2011 to welcome 3-5 year olds in both its English and French sections. The one floor building (12 classes) overlooking a garden and a swimming pool allows for extensive indoor and outdoor activities. Experienced teachers and stimulating resources ensures high level of quality IBPYP education. Students’ application are available online and at the nursery campus. GPIS School Giza was founded in September 1996 by a group of parents who were dreaming of creating an ideal school for their children, offering them a safe and happy environment where they enjoy international education while preserving students’ identity and mother tongue. 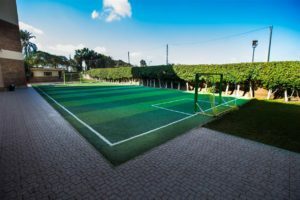 The school is located near Lebanon Square, on an agricultural land surrounded by greenery. 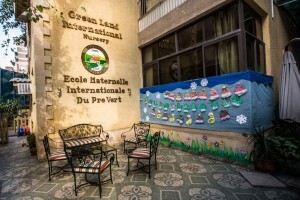 Green Land Pré Vert International Schools – GPIS Nursery Giza is located in the heart of Mohandessin district. The nursery welcomes 3-5 year olds since 1994. The nursery is well known for its familial and warm environment. Implementing the IBPYP programme ensures that children who join the nursery are provided with high quality education. Classrooms are designed to provide a norturing learning environment and an ideal workflow. The design of science space in the schools will help develop the thinking of our future leaders. The sports complex in GPIS campuses are designed to provide our students with the best facilities; courts, pools, gymnasium to properly develop physically.